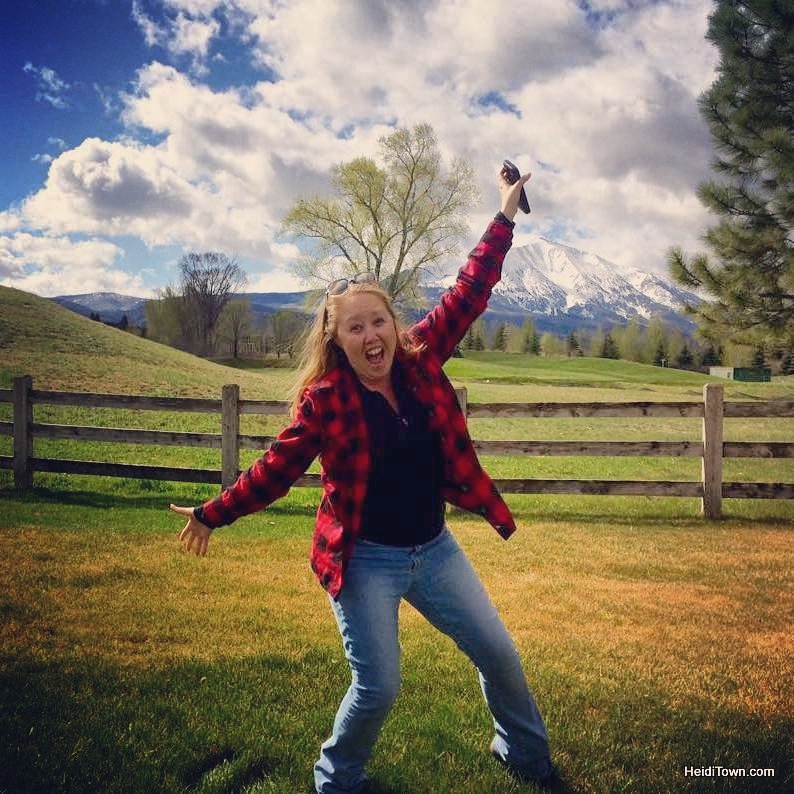 I like to keep things real here on HeidiTown and so I will start this blog post by telling you a personal story about Longmont. When Ryan and I decided to move out of Denver in the early 2000s, we looked into Longmont and decided it was a big nope. There just wasn’t much going on in the town. Fast forward to today and I think we may have made the wrong decision. 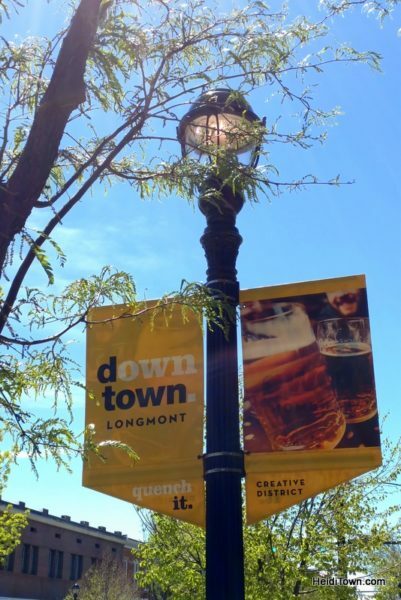 Longmont has blossomed into a beautiful and vibrant community. 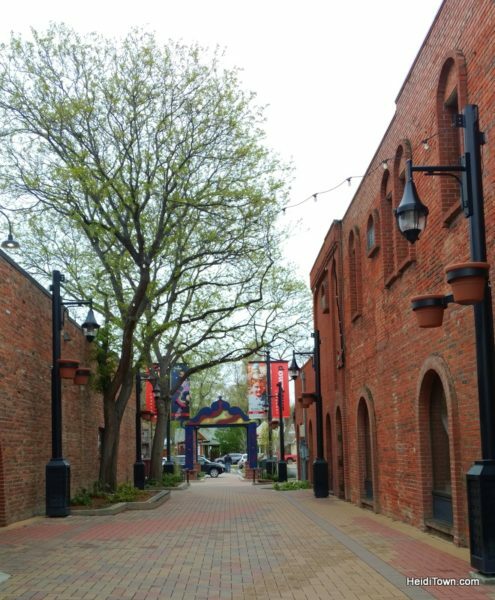 Downtown’s renovated sidewalks and artful alleyways make it a welcoming place. There’s always a festival or live music happening somewhere in town, and places like the Prospect neighborhood are cute little escapes with their own special vibe. There’s also a plethora of breweries, a cidery and several distilleries. Longmont’s come a long way baby (that’s for my GenX readers who remember those ads). Here are a few reasons you should consider visiting. 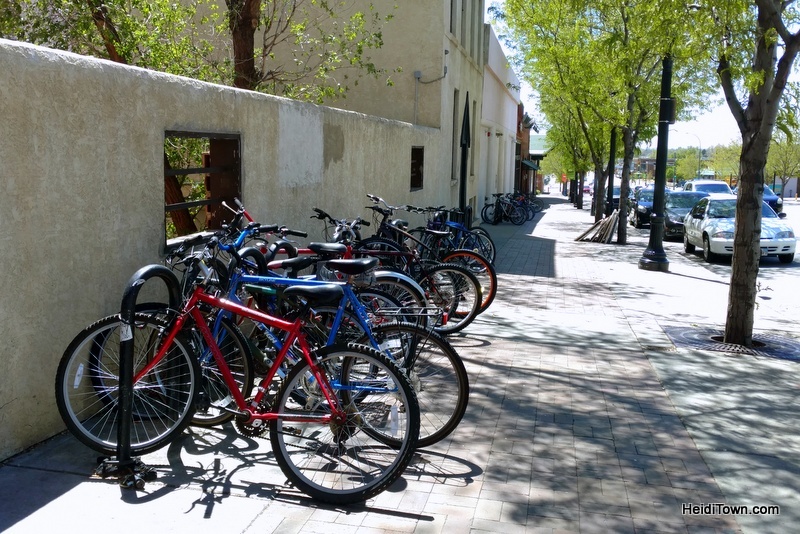 Longmont is an easy day-trip from Denver and makes a great one-night stay town as well. 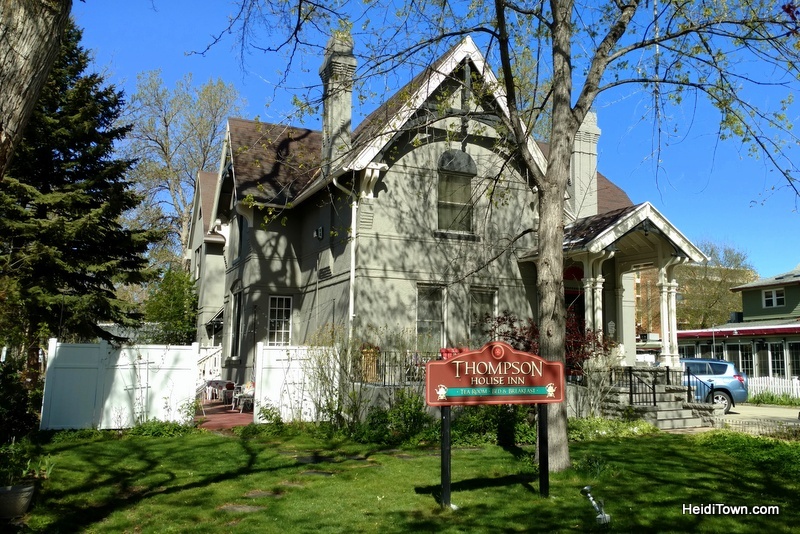 On our spring visit, we stayed at Thompson House Inn & Tea Room. The location is within walking distance of everywhere you want to be in downtown. Our first order of business was a cheesemaking class with Art of Cheese. I wrote about that outing here. After that, we checked into our bed and breakfast and left the car there as we set out to explore the town on foot. I haven’t done much shopping in Longmont or paid much attention to their retail scene, except for Recycled Records LP, a vinyl store my husband always visits whenever we’re in town. And, of course, I like to browse at Cheese Importers too. 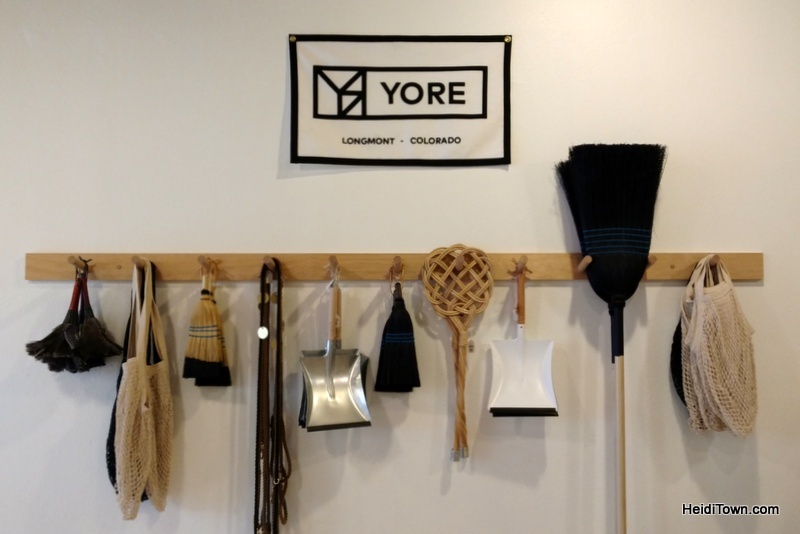 We were happy to find stores like Yore, a unique practical goods store selling everything from toothbrushes to brooms in a clean and chic setting. Another fun find was Lost Marbles Toy Store, where the super friendly owners introduced us to this cool Australian game, Spikeball, that’s gaining popularity in the United States. We’re longtime fans of places like The Pumphouse and Cheese Importers and we adore the truffle fries at Samples World Bistro. However, on this trip, instead of dining at a familiar Longmont restaurant, we tried a new-to-us eatery called The Roost. The Roost Burger was write-home-about good and they cooked it a perfect medium on a super busy night – it was prom night in Longmont and all kiddos were there in droves. Our waiter, Dave Brown, was one of the best waiters we’ve had in recent memory and he had no idea that I was the Mayor of anything, he’s just a nice guy. Later that night, we ended up at Dicken’s Opera House to see Message in a Bottle, a Police tribute band and Paradise Theater, a Styx tribute band. We’ve been to this live music venue a number of times as a good friend plays in several bands that frequent the Dicken’s stage. 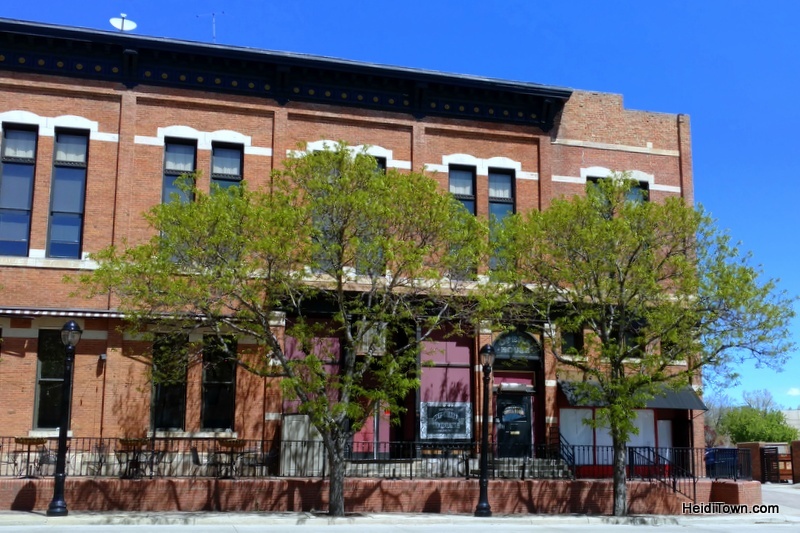 It’s an outstanding entertainment venue above The Dicken’s Tavern on the corner of 3rd and Main Street. I highly recommend catching a show here and I have it on good authority that bands love playing here too. 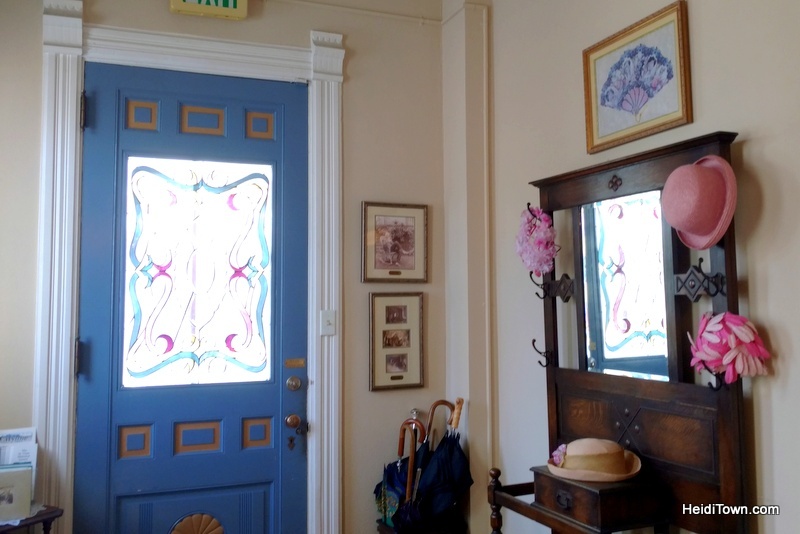 Back at Thompson House, we got a great night of sleep in this classic Victorian style bed and breakfast. The next morning we had an enjoyable breakfast with a couple from Laramie, Wyoming. That’s one of the things I love the best about staying at a bed and breakfast; I love chatting with fellow guests. The next day we hopped on board the Brewhop Trolley, and I wrote all about it here. We barely brushed the surface of all the wonderful eateries and things to do in Longmont (like the museum, new mall, parks and stand up paddleboarding on Union Reservoir), but we’ll be back, again and again. Thank you to Visit Longmont for hosting our lovely weekend in Longmont. I moved to Longmont from Denver one year ago. I can attest- Dave Brown is the best! He’s on vacation until mid-September, just in case you come back before then. Great piece on Longmont.